3. If you receive a 'This site can't be reached' message, the REST API is disabled. 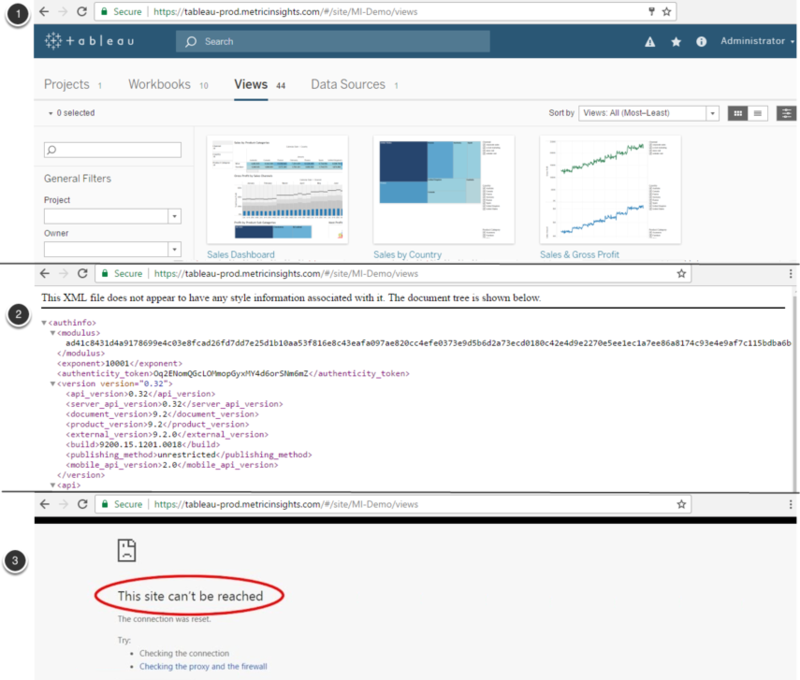 Please see Tableau API Guide for more. If the Trusted Authentication is set up at your Tableau server, you should define your Metric Insights instance's IP or Host name as "trusted". Follow the link to get step-by-step instructions on how to do it. In case your connection to Tableau server uses Mutual (or two-way) SSL authentication, Enable Mutual SSL Authentication from Tableau Plugin.